The Wallabies yielded two attempts in the initial four minutes and trailed 31-7 at the break - before scoring five second-half endeavors to anchor a 45-34 triumph. TV cameras indicated Australia mentor Michael Cheika, who has been experiencing tension after a poor run, giving an irate half-time group talk. "It's not by any stretch of the imagination for open airing what I said," Cheika said. "I simply needed to state what I felt. I turned out poorly there with an arrangement of doing that or anything like that. "I was clearly extremely miserable with the primary half and exceptionally content with the second half - yet glad doesn't generally have any kind of effect by the day's end." Australia's win is the greatest rebound including level one countries, outperforming the characteristic of Fiji, who originated from 21 indicates down at half-time beat Tonga 41-38 of every 2010. The biggest rebound in universal Test history came in 2007, when Chile trailed Uruguay 27-0 at the interim, just to win 35-34. Triumph likewise implied the Wallabies moved over the Pumas to complete third in the opposition behind South Africa and champs New Zealand, who arranged their very own dazzling rebound to beat the Springboks in Pretoria. It took the hosts only 105 seconds to lead the pack in Salta as Pablo Matera ran a fine point to blast through the center and go over, before Emiliano Boffelli crossed soon after. 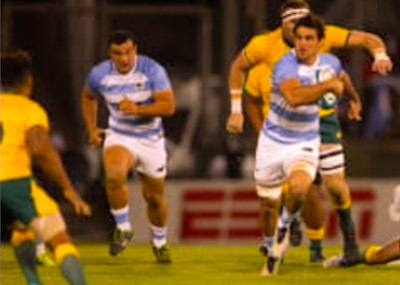 Australia skipper Michael Hooper hit back with an attempt yet the guests surrendered twice more before the break, Matias Orlando contacting down and Santiago Gonzalez Iglesias scoring an eminent solo exertion in the wake of supplanting harmed fly-half Nicolas Sanchez.